Jellycat BAS3BS - Grey rabbit teddy. 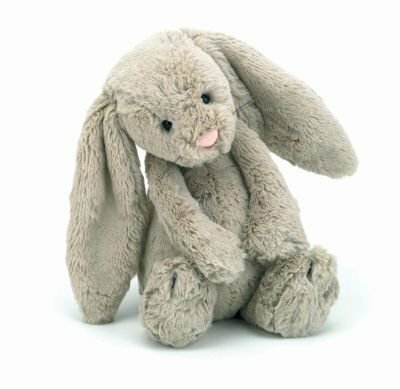 Bashful Bunny is a gorgeously soft and silky Bunny Rabbit. She has beans in her bottom so that she can sit and pose. Bashful is an extremely cute Bunny with very floppy ears and loves to be cuddled. Finished in super-soft Jellycat plush.